Dream Catcher Creative was established in 1996 as a graphic and print design company. Dream Catcher quickly expanded into web page design and development and established itself as one of the top web development companies in West Virginia. Dream Catcher has since expanded to provide custom application development, e-learning solutions, rich media development, desktop support, technology consulting and advisory and design and development of multimedia presentations and publications. We are considered to be one of the best Flash and overall web design studios in West Virginia. 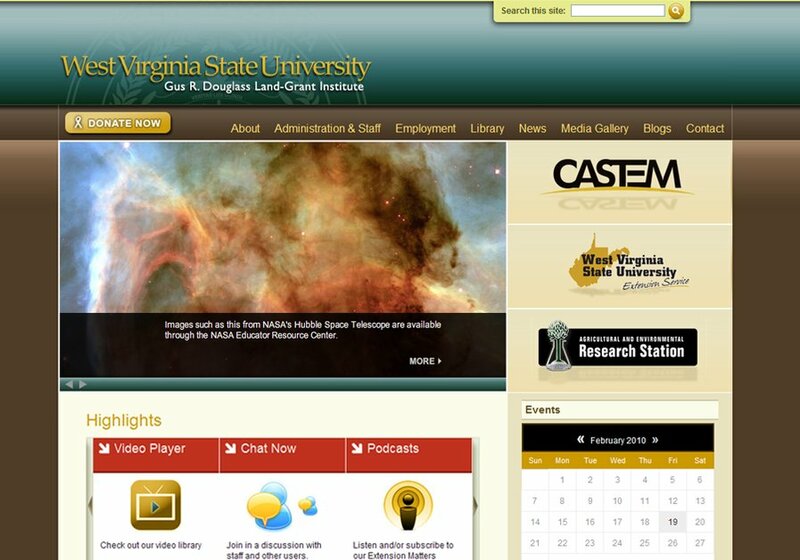 This is the home page we designed and built for the Gus R. Douglass Land-Grant Institute at West Virginia State University.